New to MindBody Beauty! NEW TREATMENT - Diamond Peel Dermabrasion for fine lines; wrinkles; dull skin; pigmentation; acne scarring; stretch marks...make a more beautiful you. We can cater for daytime spa or weekend parties if booked in advance (subject to pre-booked rooms/sauna). Please email in your requests and we’ll see how we can make your day or evening really special for you. See Offers for the latest packages and deals. Looking for beauty treatments in Forest Hill? Our beauty therapists are available on particular days and can get busy, so do try and pre-book, especially when there are special offers on! NB. Unfortunately we can no longer compete with the price, speciality or competence of nail bars who do manicures/gels day in and day out and therefore can no longer offer this service). Products used – Neals Yard Organics plus Juliette Armand for facial results using the dermabrasion techniques. If you are not sure about which treatment you would like or the products, book in for a FREE 15 minute consultation so that a treatment can be tailor made for you. An ancient tradition, healers used rocks from the river bed using coal or hot water to heat, to help relax the muscles, reduce pain or discomfort, boosting a healing process. The stones are used for heat and to go deeper into the muscles to pamper, promote healing and give a sense of deep relaxation and well being. This treatment helps to target problem areas that need detoxifying. It starts off with a 15 min FAR sauna & use of shower room. Dry body brushing is then included, stimulating the desired areas ready for our special MindBody Pre Blended “Detox oil” to be applied to your body. 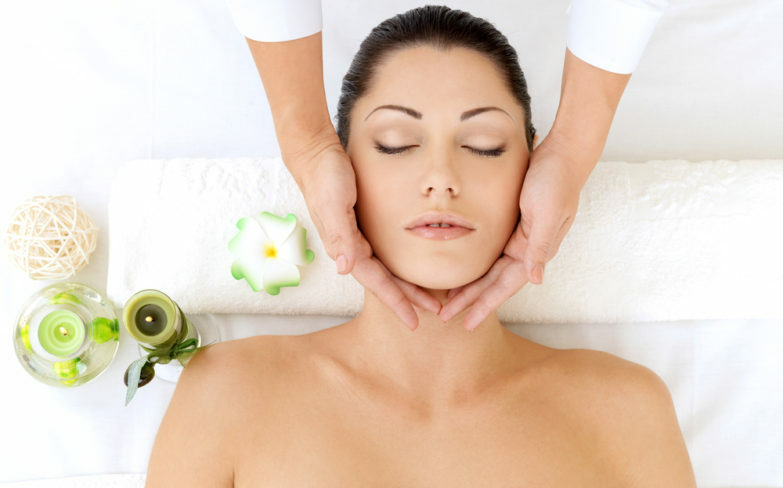 Different invigorating massage techniques are used to help the breakdown of fatty tissues followed by a light lymphatic drainage massage to encourage the elimination of toxins from the body. This treatment will stimulate lymphatic system and improve uneven skin texture leaving you ready and confident for the summer period or any special occasion. *See benefits of FAR Infrared sauna. We recommended to book a course of 3 consecutive treatments for a noticeable difference to your skins texture. MindBody Back Cleanse, designed for both men and women, it is a great way to restore the skin by helping eliminate impurities, back acne, skin bumps, blocked pores all of which could be a result of excessive exercising, eating unhealthy foods & more. Treatment includes a cleanse, tone, exfoliation, steam, two masks finished off with a refreshing moisturiser. Leaving your back feeling and looking great. This treatment is great preparation for skin on show in spring & summer time. MindBody Skin Glow is a full body invigorating scrub treatment that can leave your skins appearance looking brighter, younger and healthier … ultimately a gorgeous glow! Your treatment will consist of a dry body brushing, full body exfoliation, use of shower room & ending with a hydrating body oil applied to your skin. It’s now time to say good bye to dead dull lifeless skin! Looking great in that dress or swimwear… ready for any occasion! 45 minutes - TOP UP offer – includes a 30 min or more beauty treatment & receive a 10% off discount. Only one offer at a time. This is a non-surgical procedure that removes dead skin cells from the surface of the skin. The appearance of newer skin cells means a more youth-full looking and brighter complexion after just one session. This is an incredibly popular treatment, best-loved for its immediate and long- lasting results. To get the most out of Diamond Peel Dermabrasion, a course of treatment is recommended. Choose from 30mins each; 45mins each or 1 hour each. Totals includes discount. Fully payable when course is booked. To be used within 6 months (course of 6) or a year (course of 10). Only one offer at a time. NB. Allergy 48hr patch testing may be required – it is the client responsibility to book it in beforehand. 30 minutes - can eliminate cracks, callousness and dead skin. No use of blades or dry files, a relaxing treatment with immediate results. Hello to smooth, soft and silky feet. NB. Please do not use the centre sauna or hot shower after waxing. We are now catering for Men’s Waxing in Forest Hill, which we’ve been aiming to do for a while. So come back, all you guys who asked if we do mens waxing etc!! Also see above if you want a manicure, pedicure, facial or body treatment. Our Beauty therapists offer a range of treatments for men and women from £5. We offer you a FREE 15 minute consultation if you would like to see how our beauty therapists can help you. See the individual prices with each beauty treatment. If you ready to experience the benefits of Beauty Treatments call or book your first session.